In current work, the seeds from two candidate fifth-generation moderately salt tolerant wheat mutant progenies (Triticum aestivum L. cv. Adana 99) developed with using sodium azide (as a mutagenic agent) and from their parent (commercial cultivar) were sown in the growth chamber to evaluate their performance under control and 150 mM NaCl treatment conditions. Compared with commercial cultivar, mutants demonstrated much higher activities of superoxide dismutase, catalase and guaiacol peroxidase, and chlorophyll contents, and much lower contents of lipid peroxidation and values of electrolyte leakage under control condition. On the other hand, contents of lipid peroxidation and value of electrolyte leakage increased, but chlorophyll content decreased more severely in commercial cultivar than mutants under salt stress condition. In addition to increasing in expression levels of TaWRKY5, TaWRKY10 and TaWRKY44 genes in mutants positively regulated in salt stress responses by either direct or indirect activation of the cellular antioxidant enzyme responses or activation of stress-related gene expression. These candidate salt tolerant wheat mutant progenies will be used to increase the salt tolerance in the wheat-breeding programmers. 1. Rengasamy, R, Soil processes affecting crop production in salt-affected soils. Functional Plant Biology, 2010, 37, 613–620. 2. Rana, V, Ram, S, Sendhil, R, Nehra, K.M, Sharma, I, Physiological, biochemical and morphological study in wheat (Triticum aestivum L.) RILs population for salinity tolerance. 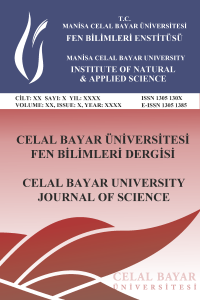 Journal of Agricultural Science, 2015, 7, 119-128. 3. Mostafa, G.G, Effect of sodium azide on the growth and variability induction in Helianthus annuus L. International Journal of Plant Breeding and Genetic, 2011, 5, 76-85. 4. Yousfi, F-E, Makhloufi, E, Marande, W, Ghorbel, A.W, Bouzayen, M, Berges, H, Comparative analysis of WRKY genes potentially involved in salt stress responses in Triticum turgidum L. ssp. Durum. Frontiers in Plant Science, 2017, 7, 2034. 5. Wang, C, Deng, P, Chen, L, Wang, X, Ma, H, Hu, W, Yao, N, Feng, Y, Chai, R, Yang, G, He, G, A wheat WRKY transcriptional factor TaWRKY10 confers tolerance to multiple abiotic stresses in transgenic tobacco. PlosOne, 2013, 8(6):e65120. 6. Wang, X, Zeng, J, Li, Y, Rong, X, Sun, J, Sun, T, Li, M, Wang, L, Feng, Y, Chai, R, Chen, M, Chang, J, Li, K, Yang, G, He, G, Expression of TaWRKY44, a wheat WRKY gene, in transgenic tobacco confers multiple abiotic stress tolerances. Frontiers in Plant Science, 2015, 6, 615. 7. Qin, Y, Tian, Y, Liu, X, A wheat salinity-induced WRKY transcription factor TaWRKY93 confers multiple abiotic stress tolerance in Arabidopsis thaliana. Biochemical and Biophysical Research Communications, 2015, 464, 428-433. 8. Cai, R, Dai, W, Zhang, C, Wang, Y, Wu, M, Zhao, Y, Ma, Q, Xiang, Y, Cheng, B, He maize WRKY transcription factor ZmWRKY17 negatively regulates salt stress tolerance in transgenic Arabidopsis plants. Planta, 2017, 246, 1215-1231. 9. Rai, M.K, Kalia, R.K, Singh, R, Gangola, M.P, Dhawan, A.K, Developing stress tolerant plants through in vitro selection-an overview of the recent progress. Environmental and Experimental Botany, 2011, 71, 89–98. 10. Sajid, Z.A, Aftab, F, Plant regeneration from in vitro-selected salt tolerant callus cultures of Solanum tuberosum L. Pakistan Journal of Botany, 2014, 46, 1507-1514. 11. Arnon, D.I, Copper enzymes in isolated chloroplasts. Polyphenoloxidase in Beta vulgaris. Plant Physiology, 1949, 24, 1–15. 12. Heath, R.L, Packer, L, Photoperoxidation in isolated chloroplasts. I. Kinetics and stoichiometry of fatty acid peroxidation, Archives of Biochemistry and Biophysics, 1968, 125, 189–198. 13. Song, J.Y, Kim, D.S, Lee, M-C, Lee, K.J, Kim, J-B, Kim, S.H, Ha, B-K, Yun, S.J, Kang, S-Y, Physiological characterization of gamma-ray induced salt tolerant rice mutants. Australian Journal of Crop Science, 2012, 6(3), 421-429. 14. Bradford, M.M, A rapid and sensitive method for the quantitation of microgram quantities of protein utilizing the principle of protein-dye binding. Analytical Biochemistry, 1976, 72, 248-254. 15. Dhindsa, R.S, Plumb-Dhindsa, P, Thorpe, T.A, Leaf senescence correlated with increased levels of membrane permeability and lipid peroxidation and decreased levels of superoxide dismutase and catalase. Journal of Experimental Botany, 1981, 32, 93-10. 16. Aebi, H, Catalase in vitro. Methods Enzymology, 1984, 105, 121-126. 17. Zar, J.H, Biostatistical Analysis, Prentice-Hall Inc., Englewood Cliffs, Jersey, 1984. 18. Goudarzi, M, Pakniyat, H, Evaluation of wheat cultivars under salinity stress based on some agronomic and physiological traits. Journal of Agriculture and Social Science, 2008, 4, 81–84. 19. Hossain, Z, Mandal, A.K.A, Datta, S.K, Biswas, A.K, Development of NaCl tolerant strain in Chrysanthemum morifolium Ramat. throughin vitro mutagenesis. Plant Biology, 2006, 8, 450–461. 20. Sui, J, Wang, Y, Wang, P, Qiao, L, Sun, S, Hu, X, Chen, J, Wang, J, Generation of peanut drought tolerant plants by pingyangmycin- mediated in vitro mutagenesis and hydroxyproline-resistance screening. PLoSOne, 2015, 10:e0119240.